My name is Chiara, I'm a 32year old mum of two lovely boys. I'm originally from Italy and can speak English and Italian fluently along with a little bit of Spanish, Turkish and French. 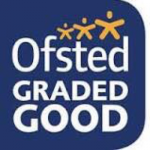 I've been an ofsted registered childminder since January 2011 and love my job! I have a BA Hons in early childhood studies and I've also got an up to date food hygiene certificate, first aid and crb check. I am based on Ruxley Lane where I live with my husband, who is also crb checked. We've got two lovely boys who love being with other children. I strive to provide children with a home away from home environment, and always make sure I look after other people's children as if they were my own, always trying to give each child the attention they require. I organize outings to local children's centers, childminders drop in sessions, libraries and parks, as well as organized trips to farms, zoos and other places. I provide two fresh home cooked meals along with breakfast and snacks for all children and can cater for food allergies and intolerances. I can collect and drop off at St. Clements Catholic Primary School in West Ewell.